Mind advancing handily, followed in short order by free and Killer. This week, Bisu makes his first appearance in SSL11, alongside Zerg favorites Larva and Kwanro (pictured above). Coincidentally, Kwanro is joined in group D by former teammate Hyuk, setting the stage for a battle of ex-SKT versus ex-Woongjin, i.e. Read on as BigFan recaps the first two Ro24 groups and BLinD-RawR previews the two upcoming Ro24 groups. BLinD-RawR and prech then continue the map pool analysis with Neo Jade. Keep watching, chatting, and live-reporting as group C starts on Sunday, Jun 07 10:00am GMT (GMT+00:00) and group D follows a week later on Sunday, Jun 14 10:00am GMT (GMT+00:00)! The first group of SSL11 featured notable players such as EffOrt and free. Since joining the Afreeca scene, EffOrt has only demonstrated his skills through several small tournaments and his daily stream. This was his opportunity to shine and seize the Zerg throne for himself. In his first game on Circuit Breaker, he focused heavily on his economy after opening with an overpool against forge FE from Tyson. Due to Tyson's lackluster control, EffOrt was able to pick off a whole pack of corsairs with unmicroed scourge and defended against Tyson's aggression before counter-attacking to deny expansions and easily take the game. In the other matchup which was also played on Circuit Breaker, Ample faced free to determine who will face EffOrt. Ample opened with a 1 rax expand to the gateway expand of free. Both players opted for drops with free utilizing dts to their maximum potential to wreck havoc in Ample's base before busting his front with dragoons for the win. The winner's match saw EffOrt and free duke it out on Neo Jade. free opened up with forge FE and researched +1 weapons while EffOrt went for an expansion followed by pool before taking a third. EffOrt tried various small zergling attacks but they were cleaned up by free who managed to muster quite a large army. free attacked EffOrt's third (8 o'clock), however, map architecture, a lurker field with strong sunken defense and strong macro allowed EffOrt to hold on until defilers were out. He took control of the game soon after through constant overlord drops which devastated free's economy and allowed him to advance in first place! EffOrt's hold at his third! In the loser's match, Tyson opened with a proxy gateway against Ample's factory expand on Neo Jade. As he transitioned to dark templars, Tyson utilized his hidden probe to build a gateway right in Ample's base! After this was accidentally discovered, Tyson went for a strong assault on Ample's expansion but was unable to break the front and lost to the 6 factory strong followup contain from Ample. With this win, Ample earned the right to rechallenge free on New Heartbreak Ridge. Ample held against the strong early harass of free and set up a depot wall outside his expansion as he grabbed a third. At this point, free made a bizzare move that left the casters speechless; after stasis-ing some of Ample's army, he rammed his own army head first into Ample's despite the small chokes from the depot block. Somehow, he broke through and despite Ample holding on, he recalled several times to advance in second place. EffOrt: Solid macro, good control and willing to take risks are the best ways to describe EffOrt. His game against free also showed that he's calm and collected under intense pressure which is a valuable asset when he goes up against tough opponents in future rounds. free: Strong macro and gutsy plays are two strengths of free's play. He is also quite experienced when it comes to all the different matchups. If he maintains his current form, he will contain to be a threat to any opponent in his next round regardless of race. Ample: While Ample played well overall and understands how the different matchups work, his macro was his main limiting factor in his games as evident in his game against free and this will need improvement if he wishes to go further in future tournaments. Tyson: Lackluster control and multitasking are the major problems that Tyson needs to work on. His games were pretty disappointing considering his capabilities. He'll need to hit fish some more if he wishes to advance further in the next SSL. Mind and Killer who were favoured to advance over the two underdogs in the group, Child and Sea.KH. This made it all the more surprising when Sea.KH outplayed Killer in their first game on Circuit Breaker. Despite Killer getting some probe kills early on, Sea.KH went for double stargate, catching Killer off-guard, killing lots of overlords and putting pressure on the Zerg before finally attacking his expansion with a large zealot army with 2 reavers for support (picture). This game was a reminder of Sea.KH's capabilities which were also on display in the previous SSL. On the other hand, Child's performance seemed lacking in his game against Mind on the same map. Mind's strong macro and unit control allowed him to keep pressuring Child and take control of the game. His foresight also allowed him to prepare for a potential backstab by Child which was easily defended against as Mind laid siege to Child's expansion to advance to the winner's match where Sea.KH was waiting. In the winner's match on Neo Jade, Sea.KH took a gamble going for a nexus first followed up by two gates. He was punished severely by Mind who added a factory before going for an SCV pull. The deciding battle took place in Sea.KH's natural as Mind tried to get a bunker up while Sea.KH tried to deny it and snipe his marines (gif). Alas, Mind was the final victor in this battle and after getting the bunker up, managed to take down Sea.KH's expansion before strolling into his main to take first place in the group. In the loser's match, Killer and Child both had their eyes on a match with Sea.KH. While Child opened with hatch pool, Killer went for a pool first with speed on Neo Jade. He contained Child and constantly stayed ahead by teching up and getting mutalisks faster. When the two clashed, Killer's mutalisks were more than enough to push back Child who was eliminated soon after. There was no doubt that Killer was glad to get another chance to regain his honor after a terrible first game. After opening with a pool first on New Heartbreak Ridge, he double expanded while Sea.KH went for a forge FE. Unlike their first game, this game was all Killer. He managed to get a zergling runby to pick off several cannons while he massed hydras and kept Sea.KH in his natural at one point using lurkers. After Sea.KH took his third, Killer executed his plan: a 4 overlord drop in Sea.KH's main diverted Sea.KH's attention from his expansion which allowed Killer to somehow sneak in a lurker into Sea.KH's second (later moved to KH's third) and to sack Sea.KH's expansion. A large hydra followup attack cemented Sea.KH's defeat. Mind: Mind looked strong in all his games today. He displayed great control, foresight and knowledge of the various matchups and will likely go far if he can maintain the same level of play. Killer: His first game against Sea.KH was uncharacteristic for someone of his caliber, however, his rematch with Sea.KH showed that Killer still has what it takes to get to the top. Strong macro and micro coupled with the ability to plan ahead and strike the opponent where they least expect it are all important skills that can make Killer a dangerous player when he's playing at his best. Sea.KH: Great performance despite getting knocked out. Sea.KH's biggest weakness is his lack of experience in comparison to some of his other opponents. He also needs to work on his multitasking, anticipating how his opponents will react and plan accordingly, otherwise, he's a great player and someone to keep an eye on in future tournaments. Child: Disappointing play all around. From his games against Mind, it felt that Child was playing on a much lower level which can only be rectified through more practice. If he works hard, he can make a big splash in the next SSL. In Group C, we see a group of two well-known players, Bisu, who although may have rescinded his participation in the last season and now returns with a bye into the Ro24, is now here stronger than ever, and Larva, the ever entertaining Zerg who looks to the SSL as a second wind as a serious competitor. 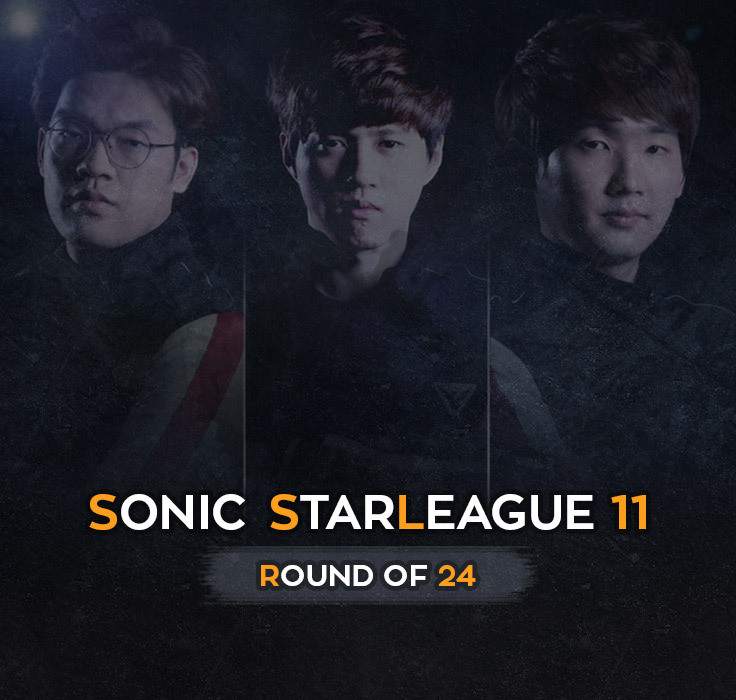 Then we have Major and IcaruS who have been pretty much unseen since the last December where Major was knocked out of the SSL10 in the group stages and IcaruS quickly dropped out of the 2014 41 SL S3. Bisu should cruise through this group without any issues, his PvT record being better than his PvZ and while the only time Bisu has played Larva was in the SSL9 Ro8 where it went to the fifth game, in this setting and their current forms its unlikely to see Bisu dropping a set to Larva or for that matter almost anyone else in the tournament. The Bisu train will not be stopping here. Major and IcaruS find themselves in a hard group, while Major used to be a reserve for the reserve TvZ sniper back in Proleague and IcaruS has shown strong TvZ play while laddering on FS, but has endured subpar results in post-KeSPA tournaments. While both of them showed some solid TvP against their Challenger Round opponents, Bisu is of another caliber altogether and Larva’s losses against Terran have only been against the best and the most active. Group D stars everyone’s favorite SKT Zerg Hyuk, HSL/KSL runner up Kwanro, the “G-chizzle” GuemChi and the “Zerg killer” PianO. PianO is poised to take this group being blessed with two Zerg opponents. Hyuk hasn’t played against a Terran at all since the Proleague days, leaving Kwanro as PianO’s biggest threat in the group. Luckily for PianO, Kwanro’s play style is well charted and PianO’s track record shows that he can hold cheeze-a-plenty. While his TvP is his worst match-up, should he encounter GuemChi it is unlikely that PianO would fail to advance even if he dropped such a TvP set. 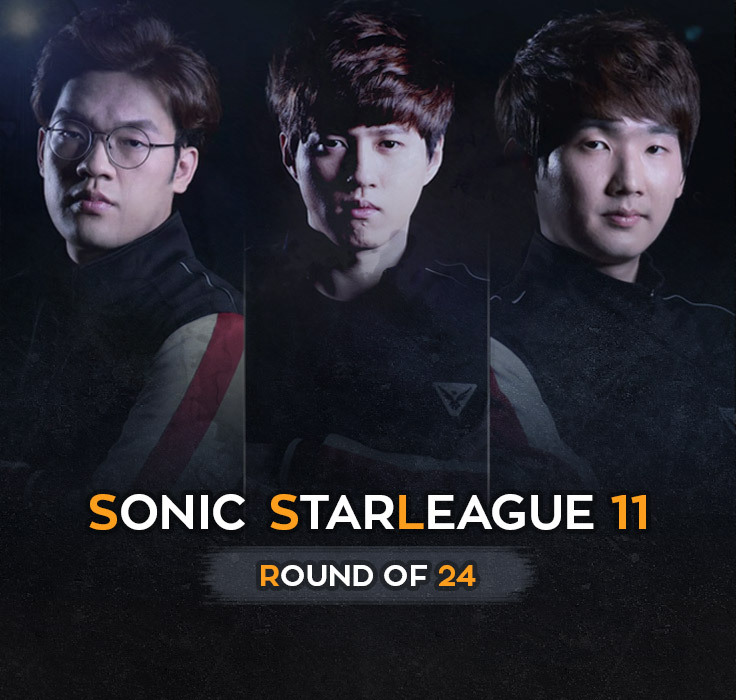 Kwanro made a return after the two and a half months since the HSL finals in the Challenger Round for the SSL11 to destroy rookie Protoss Hi in what was the shortest series in the round. Should he succumb in his opening game to PianO, the other two opponents would be easy pickings for him, his ZvZ has been steadily improving, with strong HSL wins over both Killer and ZerO. In tournament play, his ZvP record would fool anyone with only a 18-16 (53%) win-rate, but most of his losses are to top class PvZers in Bisu and Movie. Guemchi and Hyuk face off against each other in the opening game of the group, where Hyuk has shown some decent play in the Challenger Round against LuCifer but one can always count on Hyuk to Hyuk himself and GuemChi has been struggling with his performance as of late. With a new season comes a new map pool, while Circuit Breaker has been in the tournament circuit for very long time, while Neo Jade and New Heartbreak Ridge make a reappearance after a long absence. For this article, we take a closer look at Neo Jade. Neo Jade makes its appearance in post-KeSPA league play for the first time since the 2014 BCTV Starleague. At first glance, NJ in many ways resembles standard four-corner main base maps like Fighting Spirit or Circuit Breaker, which also share the nearby third base, but NJ does exhibit some notable features of its own. For example, the main is located on a lower elevation, making it vulnerable to attack, particularly from range units. This forces players to take their naturals early lest they run the risk of being contained in their main and fighting up a ramp. A long natural ridge connects the natural to the third, making it easy to take an expansion and to defend alongside the natural, because the ramp typically contains reinforcement troops. The main attack path is a single narrow ramp that can be defended if not blocked. While they are easy to take, these thirds have low value gas geysers (only 1500 gas). Plays fairly standard for the most part much like on any other four player map like Circuit Breaker or Fighting Spirit. Zerg players are left with a choice of either getting that really easy third base (with that additional high ground advantage bonus) at the cost of having to deal with a base that will run out of gas fairly quickly or taking another main/nat that will provide a full geyser and an easy to take fourth but will be harder to defend. With the numerous ridges and elevations, it is common to see lurker-only or lurker and swarm play, particularly around the center and the natural/third connecting ramps. Also, muta openings are common because of the vulnerable natural and thirds, with exposed ridges around those bases. In Terran’s case, should the Zerg take the nearby third it would lead to some heavy resistance making for a more tank-heavy push. If the Zerg takes another main/nat, it will call for a more SK Terran push to take down the third before going after the natural. Terran will often wall off at their natural, as the wide ramp connecting the natural/third is much more difficult to close. On offense, Terran will commonly drop M&M forces on the main, as it is lower ground that is enclosed, and it can inflict significant damage before reinforcements arrive. The Zerg third would be vulnerable to siege tanks from below the ramp, while the wider ridge would make it difficult to advance because Zerg can surround and swarm incoming Terran armies. Zerg play is largely standard, and consists of either expanding at the close third or expanding cross map at another natural. The economic boost enables them to play aggressively against Protoss: should the Zerg player take the natural ridge of the Protoss player, they can immediately push into the Protoss player's natural with hydras while simultaneously dropping lurkers into the main from the attack. Alternatively, Zerg can play defensively by taking another natural expansion as a third and then easily take the main as a fourth while defending the third with static defenses and a good sim city setup. Lurker play will be frequently seen with the many ridges at the natural, third, and center; lurker drops are also common at the nestled naturals and thirds. Protoss has to rely on being defensive and playing harass most of the time with DT/Reaver drops harassing the Zerg economy and distracting the army while transitioning into storm play. FE openings are common, with the wall at the natural choke, while the Zerg natural and thirds are more vulnerable to the previously mentioned drop harass than the large wide-open main. Once in the mid to late game, the map resembles other larger maps like FS, with the Protoss keeping a deathball army mobile. With a variety of elevations and large spaces, Protoss can pull off just about anything for early game trickery. Proxy gates, proxy reavers (like how Olympus beat Sea during Challenge Day), and even early gateway pressure builds can cause a lot of trouble, especially if they force the natural to lift off. At that point it is an uphill battle for the Terran player (pun intended) because the Protoss player has a high ground advantage over the main. Should the Terran player scout such play and defend it, the early two tank, vulture, and marine pressure would be equally hard for the Protoss player to deal as the Terran player would be able to set up a hard contain once they are on the natural ridge. The Terran player will commonly set up a sim city and supply depot wall at the wide ridge to defend both the natural and third. The mid to late game will often transition to standard play by both races like on any other four player map. This play will commonly include recall play from the Protoss player and progressive tank pushes from the Terran player. Exciting games ahead, can Larva or one of the Terran steal a game off Bisu? Has the man had a chance to practice with all the China travel? I would consider Bisu dropping a set a huge upset. EffOrt was mightily impressive in his SSL debut as well, looking forward to his ZvT! And as BigFan notes, Killer may well be showing us flashes of brilliance from yesteryear. Already two Zerg advancing from the first round, with only two groups completed! -- equaling the total from all of SSL10's first round... Can this be attributed to Map selection? What is this one? Is it like forecast? I would like to say some additional information that many people do not know about HyuK. HyuK and I played some games recently. He had really good muta micro with zergling plays. He is still lacking after the hive tech, but I have a feeling that HyuK will do great against Kwanro @ ZvZ. I'd be more than happy to be wrong about hyuk and see him make it out of the group. I hope Bisu and EffOrt won't face each other before the finals, they are clearly above the rest imo. What a sick write up ..
bisu as the god emperor? blasphemy! watch him purge unclean zerg scum and then get back to me. I don't know about Killer though. He got a ZvZ win and KH handed that victory to him by being passive the whole game. Ample didn't lose because of bad macro but of bad/risky decision making. Going drop play in the first game while not being able to defend vs drop play himself and going 3CC with 2 Factories on HBR versus a very strong 2base arbiter timing is what killed him. It is nearly impossible to take a fast 3rd in TvP on HBR. The only way to survive that vs any Protoss timing would be a zealot tight wall. I love the power this game still has. Yes, those are the predictions. Thank you for the insight on HyuK though! For the record, Kwanro is also an ex-Woongjin Zerg. Great article and very professional-looking graphics work. Impressive!